Now I know this is going to be a very controversial article. JNT as he is more commonly known is often referred to as the man who killed Doctor Who. Personally I find this title to be completely inappropriate. Yes there is no denying that the man made mistakes during his 9 years as producer on the show, such as those awful question marks on the lapels, the 6th Doctors costume, and blacklisting old writers. Still all showrunners, producers, writers, make mistakes. Barry Letts overused the Master in season 8, Russell T Davies stuffed the show full of pop culture references, Steven Moffat tended to reuse certain ideas and concepts, Bob Holmes made the show too violent for some. However I think that with JNT we tend to only focus on his negative points simply because he was the producer when the show got cancelled twice. Obviously people are naturally going to think that he was the man who finished it, and focus only on the bad things he did like 6’s costume as proof he finished it. However as I have explored before JNT was not responsible for the cancellation it was entirely the fault of the BBC ,and indeed I think if anything JNT was the man who managed to keep the show afloat during its darkest days. Whilst I don’t assume many people will agree with me here, I have decided to compile a list of the best things JNT did whilst he was producer of Doctor Who. Positives that I feel far outweigh any of the bad things he did with the show. Now many have criticised JNT for this, and its true he did overuse the Master, and he brought back some enemies that really did not need an encore appearance, like the Silurians. Still lets not forget that he did successfully bring back many enemies who had been gone for years and gave them a whole new lease of life. Look at the Cybermen. Pre Earthshock they had had one appearance in the last 12 years. Furthermore that appearance wasn’t exactly an all time classic was it? Indeed its a fairly poor and dull story that makes the Cybermen into complete jokes with the Doctor even ridiculing them “You’ve no home plane,t no influence, nothing, you’re just a pathetic bunch of tin soldiers skulking about the universe in an ancient spaceship”. If the Doctor isn’t remotely scared of them, why should we be? JNT really brought the creatures back with a bang and made them a legitimate menace in the Whoniverse again in Earthshock, which many consider to be among the best Cyberman stories ever made. I’d argue that it was John Nathan Turner who really made the Cybermen into the Doctors second archenemies. Obviously the Cybermen had been big in the 60’s, but in the 70’s they had only one story. You can see how had they not come back in the 80’s it would have been easy to just dismiss them as an old 60’s monster, like the Yeti that had had its time. By bringing them back in the 80’s and having them face all of the 80’s Doctors (as well as Jon Pertwee in the 5 Doctors whom they had missed out on meeting in the 70’s), JNT made it a right of passage for the Doctor to meet the Cybermen at least once. They became along with the Daleks and The Master, the only other villain to face every Doctor on screen, and thus they became the other ever lasting icon of the series rather than just another old 60’s icon. As for The Master, well whilst it is true that he overused him, at the same time he also completely reinvented the character as well. He also cast Anthony Ainley, who was absolutely superb in the role. Also it could be argued that much like with the Cybermen it was really John Nathan Turner that built the Master up into being the Doctors other main foe. Prior to Turner the Master similarly had had his golden period when he was introduced, but he had only appeared once since then. Granted that one story The Deadly Assassin had been an absolute classic, but still its easy to see how the Master could have just been seen as a 70’s thing that had had its time. It was JNT who made it a right of passage for the Doctor to face the Master at least once, and similarly allowed him to face both the first and the second Doctors in the Five Doctors too, allowing him to face every Doctor onscreen too. Davros meanwhile is definitely a character that I think was saved by John Nathan Turner’s era. Davros’s debut story, Genesis of the Daleks was one of the greatest Doctor Who stories ever made, but sadly his return in Destiny of the Daleks was handled badly. The story was poorly made, Davros looked cheap and laughable, the character was written as a one note baddie shouting about how he will lead the Daleks to victory. Which is completely at odds with his final almost poignant moment in Genesis where he tries to destroy them, having finally realised how evil they were. On top of that the character is treated as a joke. Much like with the Cybermen in Revenge, the Doctor isn’t remotely scared of him and makes jokes at his expense “Oh poor Davros” and pats his bald head and tells him he is misquoting Napoelian. If that had been his last ever story after Genesis then it would have been a real shame. It would have basically undone his perfect ending in Genesis just to make the character a joke. JNT fortunately gave us three excellent stories with Davros. He made Davros a complex character again in stories like Resurrection and Revelation. He made him someone that the Doctor was both frightened and disgusted of like he should be. Look at Davros in Destiny here and see how much more comically he and even the Daleks are portrayed. Both are bested by a hat. Its not really a fitting way for a villain as psychotic and dangerous as Davros to be defeated is it? You can see how Davros in that story is more of a jokey character “Not ME you FOOL”. Now take a look at the three confrontations between Davros and the Doctor in the three 80’s stories, and you can see how the characters menace was restored as JNT if nothing else, took him very seriously. All three of those scenes are brilliant, and they allow us to see how much the Doctor has changed over the years too. We see how the 5th Doctor wants to kill Davros because he believes he is too dangerous, but can’t bring himself to murder someone in cold blood. The 6th Doctor meanwhile is willing to kill him but is unprepared when he meets him. Finally the 7th Doctor is not only morally willing but unlike 6 is actually waiting for him. He has taken the fight to Davros and by this point knows him well enough to trick him by using his temper into provoking him to act without thinking. Thus 7 succeeds where his two predecessors failed. Though even then its quite a nice twist the way Davros once again manages to slip through the net and I would have loved to have seen where they would have gone with the Davros story arc next in Classic Who. Would the 8th Doctor have been devastated that Davros had survived and have been even more determined to destroy him? Or would he have been guilty at what he did in Remembrance? JNT also carried on from the end of Genesis too unlike Destiny. He showed Davros develop a distrust of the Daleks due to their actions in Genesis and, had him actually turn on them in Resurrection, and then try and build his own race of Daleks in future stories. Also just like with The Master and the Cybermen and his own creations, meeting Davros became a right of passage for the Doctor in the 80’s and therefore Davros I feel entered into popular culture in a way that he otherwise would not have done. I don’t doubt that Davros would have been remembered by fans on the strength of Genesis alone, but I doubt he would be quite the icon he is without the 80’s stories. Yes unlike Moffat he is actually the one we can give the credit to for this one. Of course that’s not to undo the great work Moffat has done for the show abroad, but still the man who really helped the show catch on stateside was JNT. During the early 80’s Who managed to catch on for the first time in America earning a big cult following over there. During JNT’s time the show was being seen by close to ten million people in America. It would ultimately be seen by over 150 million people in over 80 countries worldwide during the JNT years. Who had always had an overseas following since the Hartnell era, but really it was during JNT’s time that the shows popularity really took off abroad. Barry Letts the producer of the series during the Pertwee era credited Turner with the shows rise in popularity in America. Okay now I’d imagine that this is probably something not everyone is going to agree but in my opinion JNT cast three very talented actors in the role of the Doctor all of whom went on to be very successful and very influential actors in the role. Peter Davison was very popular. He was the first young man to be cast in the role and paved the way for later younger actors in the role such as Paul McGann, David Tennant and Matt Smith. Colin Baker though dealt the hardest blow by Micheal Grade was nevertheless able to make the most of it, and has since through his work with Big Finish given us one of the most well developed incarnations of the time lord. He also similarly proved influential on later Doctors. His dark, aggressive, unpredictable, grumpy Doctor who is still a big softie underneath served as a clear template for the likes of Christopher Eccelston and the current Doctor Peter Capaldi. 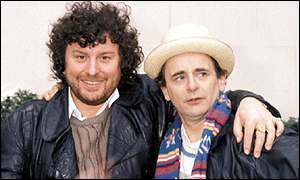 Sylvester McCoy meanwhile brought the mystery back into the character as well as much of the whimsical crazy humor, traits which again we see emerge in new Who Doctors like Matt Smith. Moffat’s “Doctor Who” arc involving a huge mystery surrounding the power behind the Doctors real name is not unlike the Cartmel Masterplan. Say what you will about JNT he clearly had a good handle on the character of the Doctor as he cast actors who were all perfect for the part, and he had lots of interesting ideas for the character, such as casting someone younger, making the Doctor more mysterious, manipulative, darker, grumpier all of which subsequent writers including both Steven Moffat and RTD have used to great effect too. I lost a lot of respect for Eric Saward when I saw how he basically stabbed Colin Baker in the back after leaving his position as script editor, by saying in an interview that he doesn’t feel he should have been cast in the role. He also later said he felt Peter Davison was not the right choice either in the Trials and Tribulations DVD. John Nathan Turner however always to the very end defended Colin and did all he could to try and prevent him from being dismissed in the role. As a result of this Colin has no ill will towards JNT and even still considered him a friend for many years afterwards. “Well I have extremely strong opinions about that, I feel very very sympathetic towards John because what he’s done for the programme is ten times what anyone else has done for it. There’s a tiny, tiny coterie of fans who are very frustrated because they’ve never been producer of the programme, they’re mainly in Britain, but there are two or three that I could name but won’t, in the UK, who have made it their lifetime job to do everything they can to sabotage John Nathan-Turner, and I think it’s miserable, petty, ghastly behaviour and I think they’re worms that ought to be trodden into the ground. (laughs) Don’t mess around, Colin, tell them what you really think. But John was the producer for a very long time, and he’s responsible for it being over in the US and he came over and marketed it, he always cared about the fans, he always made sure people like myself and Nicola came to conventions when our first inclinations were that we weren’t too sure about it. He persuaded people like Pat Troughton, who never wanted to talk about the programme, who found out he loved it! And John kept the programme on the air in Britain, he was the only person fighting for it. Witness the fact that now he’s been ousted, there’s nobody in the BBC who’s waving the flag. At the same time JNT also had to deal with the BBC’s attempts to smear the show. They constantly aired fan grievances on television and even allowed some of them to launch personal attacks on JNT, but John always stood his ground and defended the show. He also at the same time when the show was off the air did all he could to keep it alive in the public’s consciousness including even hosting events celebrating the series. If nothing else Turner was a great ambassador for the series. Now this might sound a bit of an odd thing to say considering that one of the biggest complaints against JNT from fandom is that he overstayed his welcome. The thing is that JNT actually wanted to leave a lot earlier, but was forced to stay on by the BBC. After the Trial of a Time Lord the BBC would have axed Doctor Who if Turner had left as they could not find a replacement. Nobody wanted to take on a show that the BBC had made it known they hated and wanted to finish. Taking on such a show would have effectively killed their career stone dead. Turner knowing this however and desperately wanting to move on to new projects (at one point he was even offered Bergerac!) decided to stay on for the good of the show. Thus if it had not been for him then we wouldn’t have had the entire McCoy era. The McCoy era is often regarded as one of the shows best era’s, that features one of the most popular companions, that many regard as a blue print for the new series, and finally that allowed the original series to at the very least finish in a dignified way. It features some of the best stories the series ever produced in its 26 year run, Remembrance of the Daleks, Survival and The Curse of Fenric. That’s all thanks to John. He stayed on at the risk of his own career, and he also I might add had only a few months to put season 24 together. Season 24 is definitely the weakest of the classic era’s run, but again consider that Turner had just a few weeks to get a new script editor, and a whole new Doctor its a wonder it got made at all. And whilst season 24 may not have been the best series, both Cartmel and McCoy Turners two picks for the roles he had to fill so quickly both turned out to be fabulous and later produced some of the greatest who stories ever made. Not only does fandom focus solely on John Nathan Turner’s mistakes but I feel they are often blown out of all proportion as well. For instance he is often slated for overusing past villains. Whilst there is no doubt that he overused the Master who appeared 11 times, he actually used the Doctors other enemies fleetingly. The Daleks and the Cybermen were each in his era 4 times and that’s including the 5 Doctors which isn’t really either a Dalek or a Cyberman story. The Sontarans and the Silurians meanwhile he used a grand total of once each! Now lets compare that to other era’s. In the Letts/Dicks era the Master appeared 8 times, the Daleks 4 times, and the Ice Warriors twice. In the Davies era there is an appearance from the Daleks at least once every year as well as multiple appearances from the sontarans and the Master. Davies even went as far as bringing the Macra back. In the Moffat era meanwhile the Daleks, the Cybermen, the Angels, the Master, the Sontarans, the Zygons have all appeared regularly. So whilst I am not saying that JNT was right to use the Master so regularly he was not the only producer to do over use a villain, and indeed at least the Master was the only villain he overused, unlike other producers who overused multiple older villains. Also another major criticism of his that he never used older writers is not entirely true either. It is true that at first he was reluctant to use older writers as he wanted to bring fresh new talent to the series, but as time went on he began to regularly use older writers for the show. In his first series as producer he commissioned Terrance Dicks to write a story, he also commissioned Dicks to write the 20th anniversary story. Bob Holmes meanwhile wrote 4 stories during his time as producer and he commissioned him to write two more which sadly didn’t come about due to other circumstances. He also asked Terry Nation to write for the show 3 times but again he was unable to due to other commitments. Thus can you really say that Turner never asked any of the older more established writers to work for the series when he asked the three most prominent writers a combined total of 11 times to write for the show? Its also worth mentioning that many of the old established writers such as Malcolm Hullke, David Whitaker and Brian Hayles had all passed on by the time John Nathan Turner took over the show. Finally its important to mention that the viewing figures did not go down during his time on the show until the BBC started messing it around. 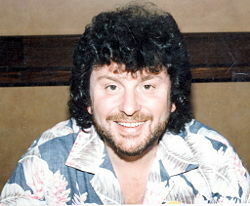 Throughout the Davison era and Colin Baker’s first series the show was very popular. Its viewing figures were between 7 and 9 million in the UK almost 10 million in America and over 150 million people around the world. Ironically that probably represents its most popular period on a global scale. However after 1985 when the show was taken off the air for 18 months and then brought back in a poor timeslot its viewers fell drastically. Then when it was moved to the same slot as Coronation Street its viewers took another plunge. Its viewing figures in the late 80’s also dropped abroad due to the BBC raising the prices of stories to a ridiculous degree. The fact is the BBC wanted to kill it and really far from being the man who took a healthy show and drove it into the ground he was someone who managed to keep a show afloat that the BBC were attacking from every angle, slandering it on shows like Point of View, This Morning, giving it no advertising, slashing its budget, putting it in poor timeslots and raising its prices abroad. Of course there are some things JNT did that cannot be defended. The costumes he picked for the last three Doctor were almost all universally awful. I actually don’t mind the 7th Doctors costume though. I think its actually probably the most recognizable piece of clothing for any Doctor after the 4th Doctors scarf. As you can see Turner did a lot of good for the show during his 9 years as producer. Whilst I don’t doubt he made mistakes, ultimately I see him as the man who championed and defended the show during a very dark time when the BBC were practically devoted to its destruction. Even during those dark times Turner still manages to give us three excellent Doctors, classic stories like Androzani, Fenric and help the show break into the international market like never before. Its such a tragedy that Turner died before the show could return in 2005. He most likely died thinking he had killed the show too. Hopefully as time goes on perhaps history will look on Turner more favourably. Sadly I think that the DVD range of Classic Who stories is partly responsible for Turners reputation still being so negative. To start with they have never made a tribute documentary to him which I think is disgraceful. This is a man who like it or not was the shows longest running producer and who cast almost half of the actors who played the Doctor. Yet there isn’t one tribute to him? There is to Philip Madoc who was in 4 stories but none to JNT? Added to that I feel the documentary’s tend to be one sided in their presentation of JNT. They tend to only show Saward’s side of things. Granted JNT is dead, but still I often find that even those who are in favour of JNT like Colin Baker aren’t allowed to express their support for him on these docu’s. Colin it seems is only ever allowed to express the negative things about John. We have never seen him for instance be allowed to say anything like what he said in the interview I posted above on the DVD’s. There should be a more balanced account of JNT on the DVD releases at least. JNT’s biggest problem was the BBC didn’t support the show. JNT had the right idea: he is the reason for the Paris exteriors for City of Death and he is the reason for the vast improvement in visual quality for The Leisure Hive over anything the previous season. And he is also the reason the show returned to the memorable, unique scores that was a hallmark of the 60s but faded out completely during Tom Baker’s era. But look at what happened. when Lovett Bickford and Paul Joyce, directors of leisure Hive and Warriors’ Gate, went ever so slightly over time and over budget JNT got raked over the coals and was forbidden from ever using them again. Graeme Harper only barely got Andrzani done in time, with minutes to spare, and he had to jettison whole scenes, like a fight between the Dr. And the Magma beast. In order to finish on time. If Harper had gone over time, which very nearly happened, JNT would’ve been forced to ban him from the show and he wouldn’t have been the director of Colin’s Dalek story. Now what does that show? It shows that JNT had no support where it really mattered. JNT’s true vision for the show was not panto and tackiness, as is often asserted. 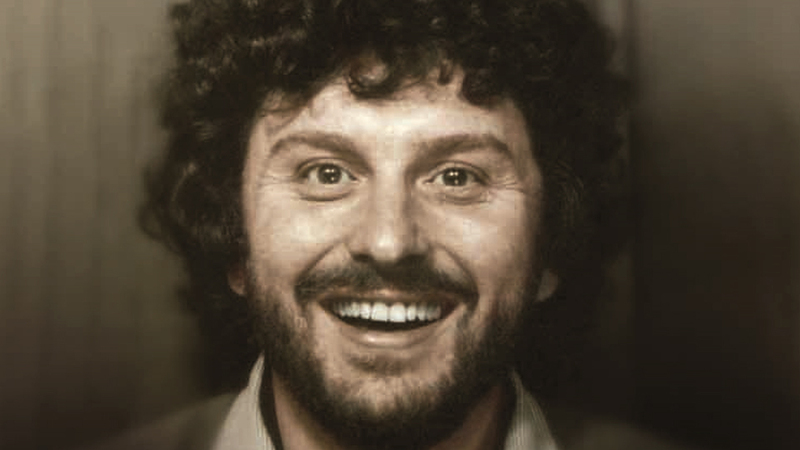 His ideal look for the show can be seen most clearly from his very first story, The Leisure Hive. That’s what he wanted the show to look like, and how he wanted it to be scored. But the very fact that every single director with a grand, “cinematic” vision either couldn’t get the show done on schedule or just barely managed to, with mere minutes left on the clock, proves that the BBC i.e. Jonathan Powell, Michael Grade had totally unrealistic expectations. The truth is, no one could have saved the show, because the only way to save the show was to give it enough time and money that directors like Bickford or Harper could do what they wanted to do without dying of stress or being blackballed for going over budget! The BBC was demanding miracles. The reason JNT relied on the drab likes of Pennant Roberts was that at least they never went over schedule or over budget. Michael Grade mocked and derided the cheap, tacky, cheesy look of Warriors of the Deep, but whose fault was that? Instead of applauding JNT for getting Bickford to direct Leisure Hive in a bold, cinematic way, the BBC higher ups lambasted JNT for not keeping Bickford on a tighter leash. The irony is if RTD and Moffat had been given a shoestring budget like JNT had to work with, no one would be applauding them as geniuses. They’d be getting laughed at for inadequate visuals. JNT deserves credit for making the show feel much more dangerous. The Keeper of Traken is probably the first time we ever see the Doctor lose. I mean really, truly lose. He doesn’t save Traken. The Master succeeds in his goal of “a new body at last!” and we soon learn that the entire planet of Traken was destroyed! There is no happy ending: the Doctor thinks he’s saved the day only to belatedly discover he has utterly failed. Likewise, in Earthshock, finally a longterm companion dies. Many producers had flirted with the idea of killing off a companion, but JNT was the first to go through with it. I think that’s brilliant. That’s what we needed to see and is the perfect antidote to stories like Destiny of the Daleks where it’s all one big joke. JNT Was the first producer to make you feel that nobody was safe, that the Doctor could fail to save the day and that even companions could be killed at any time. His biggest flaw was once he was forced to tone down the violence, I feel he had no idea what to do. A a certain point he just ran out of ideas: certainly casting Bonnie Langford was a huge mistake and was a sure sign he’d lost his way. Especially with Saward still on board as script editor, no way to fit Langford in with Saward’s bleak vision for the show. What should have happened, I feel, is that Peri should have died with no possible ambiguity. And she should have died after having encountered the Vervoids (the story order should have been flipped), since she is, after all, an aspiring botanist, and it makes no sense to keep a botanist out of the one story featuring sentient plants! What should have happened is Peri saves the day in Vervoids only to die right after in Mindwarp. Then the Doctor fights the Valeyard alone with no help from anyone. Then, ideally, Colin stays on and meets new companions only after the Trial is over. My choice would be to NOT kill off the tomb raiders, Natasha and Grigory, in Revelation of the Daleks, but to have them survive and meet the Doctor again after Peri’s death. It amazes me that Saward was so violent and bloodthirsty, but didn’t seem to see the potential of his own characters to be companions and explore the dark themes he was interested in. Natasha was a justifiably violent, angry character who could’ve been used as another Leela type companion. Besides, that would’ve solved the complaints that many people have about Revelation, that the Doctor was too sidelined in favour of secondary characters. If those two bodysnatchers had gone on to become series regulars it would’ve been much more satisfying to the viewer, I feel. Great comment. I never thought about those two from Revelation but you might have a point. I always thought it was a bit ridiculous the way those two guys that tortured them got away with it. They were sadistic assholes who enjoyed torturing a woman! And the Doctor just lets them go? If they had survived then yeah we could have at least seen how those bastards got their just deserts. But it’s worse than that. It’s the Doctor who instructs them to go back into the catacombs and destroy the incubation room. Why doesn’t he do it himself? He just twiddled his thumbs while leaving the hard work to Grigory and Natasha. Thus, he is the clear cause of their death. Not only does he contribute nothing to the resolution of the plot, he actually makes things worse! The DJ dies only because Davros sends Daleks to capture Peri. The Doctor’s clueless remarks about Jobel to Tasambeker, and her witnessing Jobel come on to Peri are salt on her wounds and may be what push her over the edge. And the tomb raiders clearly only go back into the heart of danger instead of quickly exiting the building because the Doctor urges them to do so. Saward trashed Colin’s performance and attacked JNT for casting him, but I never disliked Colin’s Doctor because of the acting. What I disliked was the way Saward frequently made him into a nuisance instead of a hero and took every opportunity to sideline him and make him peripheral to his own series! Saward rendered the Sixth unlikeable, not Colin, who brought a real charm to it. I have sympathy for Saward’s attempt to make the series darker and edgier, and I do think he was a good writer overall, but he too often went about it the wrong way. Simply slaughtering every character and sidelining the nominal leads is not how to do it. JNT and Colin cannot be blamed for Saward’s own misacalculations. I never thought about it like that, but yes he did kind of send them to their deaths. It would have been a good idea to have a companion who lost someone to the Daleks. It be a nice twist to have someone hate the monsters more than the Doctor, and in this respect Natasha would have been a great choice. I am not to sure about her friend. He didn’t really have a personality, but Natasha I am starting to see the potential in. As for Saward I agree he was a good writer. I like all of his stories, including even Attack of the Cybermen, but he was the worst script editor of Classic Who. His botching of Colin’s Doctor and stabbing him in the back afterwards was really unforgivable TBH. I agree with Colin’s suggestion of Philip Martin being a better script editor for Colin’s time. And you could take Davros in a new direction by having the focus be on a young woman full of rage and desire for revenge (with a Leela-like willingness to use violence when necessary). Davros’ long interactions were always with the Doctor, never the companions. Natasha Stengos could have been the companion with a uniquely hostile and intense relationship with Davros and the Daleks. You could even have her develop along the lines of Ellen Ripley in relation to the Aliens, from initially just struggling to survive and destroy these monsters to ultimately becoming fascinated by them and becoming the ultimate expert who knows more about them than anyone else. But the main reason she should have been a companion for the Saward era is that her presence in the Tardis would’ve been an antidote to his addiction to pulling the focus away from the regulars onto the guest cast – The military man Scott in Earthshock, Lytton, Orcini – or look what happens with Turlough once he no longer wants to kill the Doctor. Once Turlough no longer dangerous, Saward no longer has a clue what to do with him and he becomes redundant (he does nothing but sit in the Tardis in the 20th anniversary special and wanders around corridors in Resurrection). What Saward needed was a companion who never stopped being volatile and unpredictable, and if she quarrelled with the Doctor it wasn’t pointless whinging like Tegan, it was a genuine clash of perspective as how much violence or ruthlessness or scheming is justified in pursuit of justice. I still think they need to do something like that on the show. Fire Chibnall (I hope and pray his SJW, pseudo-feminist series bombs and gets cancelled), rest the show for a couple years, then bring it back with Robert Shearman in charge and with a Natasha-esque companion from the future instead of the usual girl next door. With a Sawardesque sense of menace and dread bit without Saward’s need to sideline the main characters. Great ideas for a Natasha. I’d love to see a scene like that where she learns that he could have destroyed the Daleks too. That was actually why I always wanted Osgood and Journey Blue to be 12’s companions. Journey Blue lost her brother to the Daleks, whilst I would have made Osgood’s backstory that Professor Laird was her mother. Professor Laird was that little nerdy, mousey scientist in Resurrection of the Daleks that got shot by the Dalek duplicates. I think it would be good if they made her Osgood’s mum and her death inspired Osgood to join the military and UNIT to find out the truth of her mothers death, whilst her admiration for the Doctor would come from the fact that he was the one person who always managed to overcome the monsters that killed her mother. Of course her hero worship would be called into question when she found out that the Doctor could have wiped the monsters that killed her mother from history. I also think Osgood and Journey Blue would be a good contrast to each other. One would be a mousey scientist whose a total wimp physically, but who really smart, and who the Doctor would love in a Jo Grant, Susan kind of a way, IE like a daughter/grand daughter, whilst Journey would be like Natasha, a strong, Ellen Ripley style female hero who would clash with the Doctor as much like Leela she would not be above violent means. I think if they had ditched Clara after season 8, got Journey and Osgood in as the companions, cast Robert Carlyle as the Master instead, (and written him as a vicious power mad sociopath that the Doctor wanted to kill, like in The Deadly Assassin, Survival, the 96 Movie, Terror of the Autons, Frontier in Space etc.) Done more old fashioned, scary adventure stories, set on other planets, as well as some historicals, brought Romana back and given her her own show, and written Peter Capaldi’s Doctor as a strong, old fashioned, professorial character and not as a cuck who wants to be a woman, not because he’s trans and feels he was born in the wrong body which is obviously fine, but just because he’s such a male feminist he actually hates himself for being a disgusting, evil cis white man. Sorry I didn’t mean to get sidetracked there, I just noticed how what you wish had happened with Natasha is pretty much exactly what I wanted to happen a while back with Osgood and Journey Blue. I suppose Natasha is a mix of Osgood and Journey when you think about it. Strong brave Ellen Ripley style heroine, not afraid to kill, but also more of a scientist like Osgood. 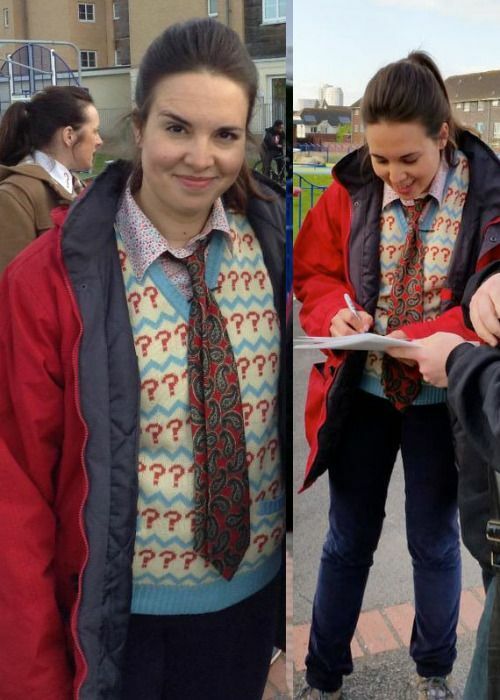 Its a real shame that potentially great characters like Osgood, Journey and Natasha were wasted whilst characters like Clara (from s8 on) and Mel were actually made the companions!